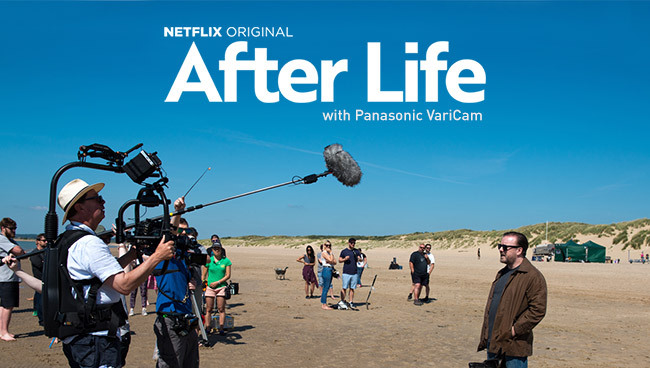 Panasonic’s VariCam range has been used to film Ricky Gervais’ latest Netflix Original comedy series, After Life, to create an aesthetically pleasing series which supports the comedic narrative. Streaming now, the six part series from Derek Productions is created, written, and directed by Ricky Gervais, with Charlie Hanson as producer and Ricky Gervais and Duncan Hayes as executive producers. Over the six episodes, the narrative follows the story of Tony (Ricky Gervais) as he mourns the loss of his deceased wife, and considers living long enough to punish the world by saying and doing whatever he likes. However, as the series develops, it also explores Tony’s personal journey of grief, as his friends and family attempt to save the nice man they used to know. 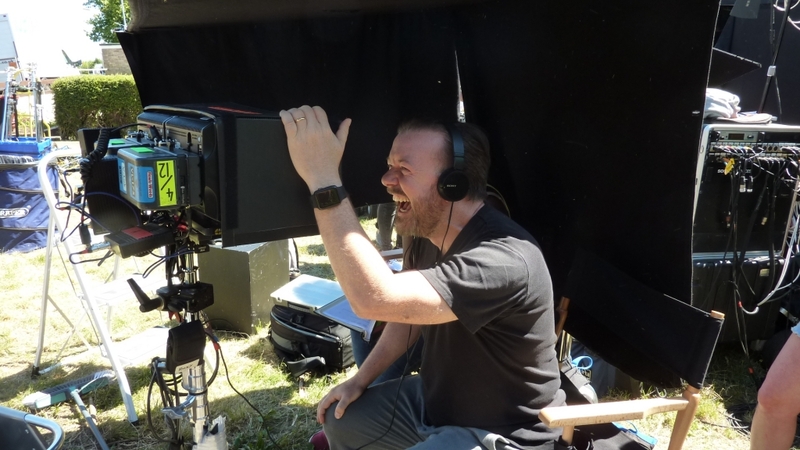 Focused largely on the comedic prowess of both actors and script, Gervais and his producers were therefore keen to find the correct technology for a dark comedy with a lighthearted feel. Working on the set to create this final look was Martin Hawkins, Lighting Director and Director of Photography, and Vince Narduzzo, Colourist, who have worked alongside each other for over 20 years on shows as varied as Extras, Derek, and Holby City. 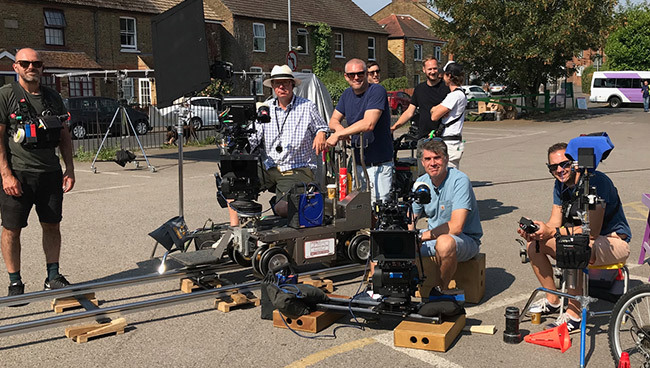 Having undertaken discussions with rental company 24-7 Drama, the decision was made to film the series with two Panasonic VariCam 35, and a VariCam LT, alongside a lens package that included Zeiss Ultra primes and ARRI Alura zoom lenses, with the addition of a 12’ Jib Arm and a MoVi. 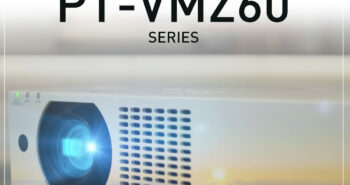 The series made use of the camera’s dynamic range, filming in 4K HDR. This was utilised to enhance elements such as Tony’s disheveled character and his surrounding scenery, visually supporting the emotional journey depicted within the script. Another benefit when utilising the VariCam range was its versatility and flexibility which made it quick and easy to use on set. This was essential to create a final finish for the series, complementing the filming with a natural grain to focus the audience’s attention on meaningful scenes, such as one where Tony attends his wife’s graveyard.